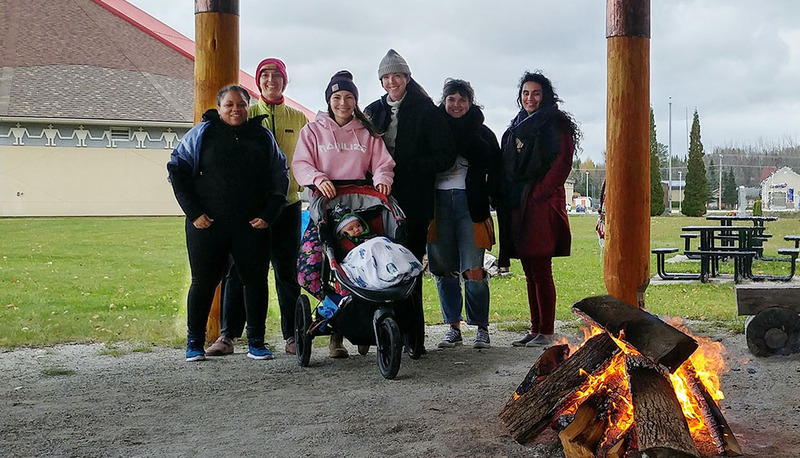 On the 10th anniversary of its official establishment, over 30 NACM members gathered at Kitigan Zibi on October 20 and 21. 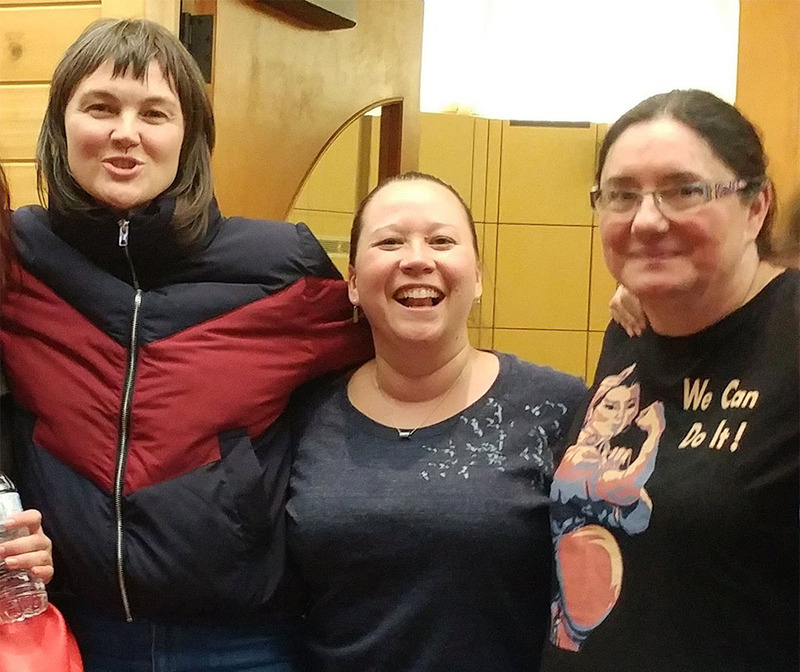 The NACM Gathering is a time for NACM members to connect, share about their work and communities, learn, and plan for the future of Indigenous midwifery in Canada. During the Gathering, NACM members took time to honour Elder midwives Lesley Paulette, Darlene Birch, Akinisie Qumulak and Leah Qinuajuak. They also learned about NACM member Mandy Commonda’s work to bring midwifery to her home community of Kitigan Zibi. The theme of this year’s event was Where there are services, there will be education, so members spent much of their time discussing the Core Competencies Project and discussing their vision around NACM’s education strategy. Members thanked Melissa Brown for her work as Co‑Chair for the past two years and welcomed Claire Dion Fletcher as the new Co‑Chair working with Carol Couchie. Claire practices midwifery at Seventh Generation Midwives in Toronto and is a lecturer and the Aboriginal Student Coordinator at the Ryerson Midwifery Education Program. NACM’s vision for education, Where there are Services, there will be Education, inspired it to begin to articulate the core competencies of Indigenous midwifery. The Core Competencies Project aims to increase the pathways to education, decolonize training experiences and support retention. The project will build a National Indigenous Midwifery Competency Framework to serve as a national occupational standard and conduct an occupational survey to ascertain the size and profile of the Indigenous midwifery sector, expected attrition and anticipated employment patterns in the future. The final component of the project is to undertake a public engagement strategy with government, midwifery associations, midwifery education programs, and stakeholders in Canada. 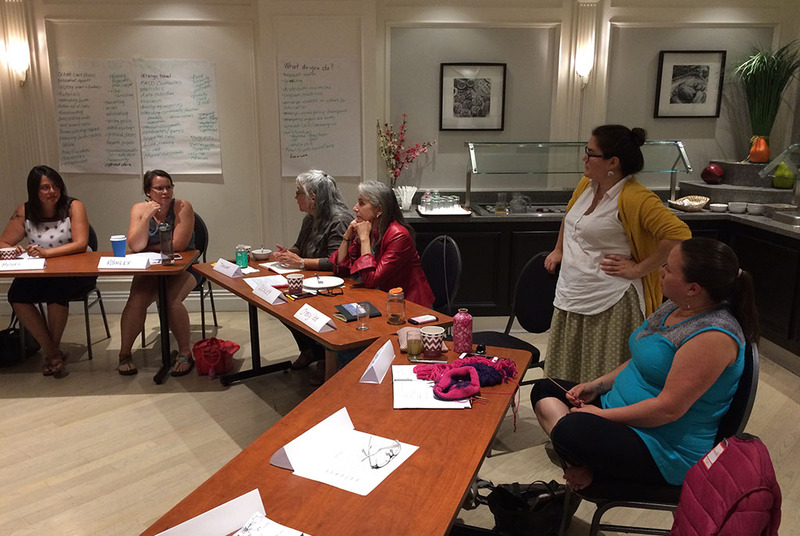 The project kicked off last July, when a representative group of Indigenous midwives from different geographic regions, registered and exemption midwives, First Nations, Inuit and Metis midwives, with different levels of experience, met in Toronto. The meeting was facilitated by the Competency Group, and the midwives spent two days mapping out the unique roles of Indigenous midwives and the aspects of care that they provide. The reality for too many Indigenous people of having to travel hundreds of kilometres to give birth is also true for Indigenous peoples accessing education programs. This project aims to create multiple routes of entry for aspiring Indigenous midwives while concurrently supporting Indigenous midwives to establish practices in their home communities in order to bring birth closer to home. NACM member Cheryllee Bourgeois is the Project Lead to support the development of the Framework and NACM member Evelyn George is working as the Partnership Development Coordinator to support the public engagement strategy. The project being conducted in partnership with SCC, is funded by Johnson & Johnson, and concludes in July 2019.